The main entrance to Mount Carmel West Hospital is shown Tuesday, Jan. 15, 2019. An intensive care doctor ordered "significantly excessive and potentially fatal" doses of pain medicine for over two dozen near-death patients in the past few years after families asked that lifesaving measures be stopped, an Ohio hospital system announced after being sued by a family alleging a dose of fentanyl hastened a woman's death. 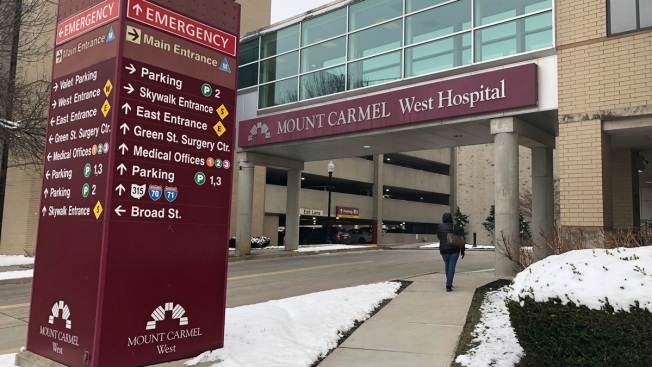 The Columbus-area Mount Carmel Health System said it fired the doctor, reported its findings to authorities and removed multiple employees from patient care pending further investigation, including nurses who administered the medication and pharmacists. An intensive care doctor ordered "significantly excessive and potentially fatal" doses of pain medicine for at least 27 near-death patients in the past few years after families asked that lifesaving measures be stopped, an Ohio hospital system announced after being sued by a family alleging an improper dose of fentanyl actively hastened the death of one of those patients. "Regardless of the reason the actions were taken, we take responsibility for the fact that the processes in place were not sufficient to prevent these actions from happening," Mount Carmel President and CEO Ed Lamb said in a video statement. "We're doing everything to understand how this happened and what we need to do to ensure that it never happens again." Husel was a supervised resident at the Cleveland Clinic from 2008 to 2013, according to a statement from the medical center. It's now conducting an internal investigation of his work, but it said a preliminary review found that his prescribing practices were "consistent with appropriate care provided to patients in the intensive care unit." Associated Press reporters Julie Carr Smyth, Andrew Welsh-Huggins, Mark Gillispie, John Seewer and Dan Sewell contributed to this report.